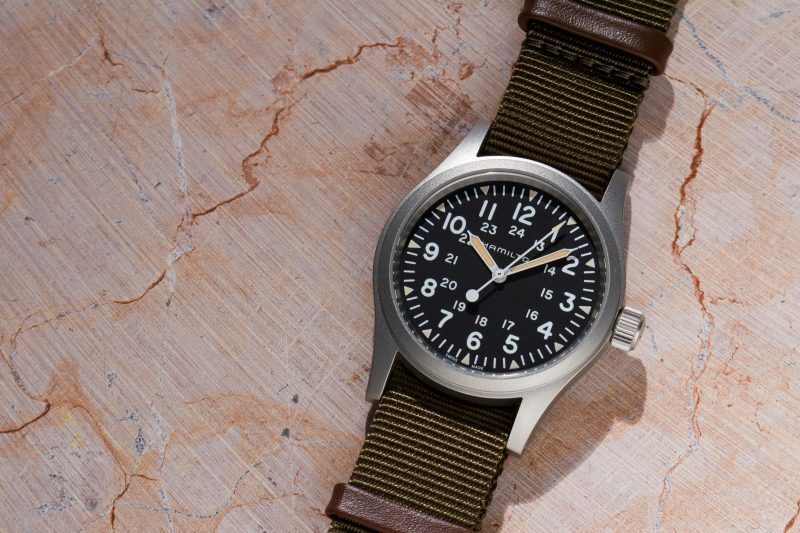 The Hamilton Khaki Field Mechanical is one of the hottest watches of 2018. 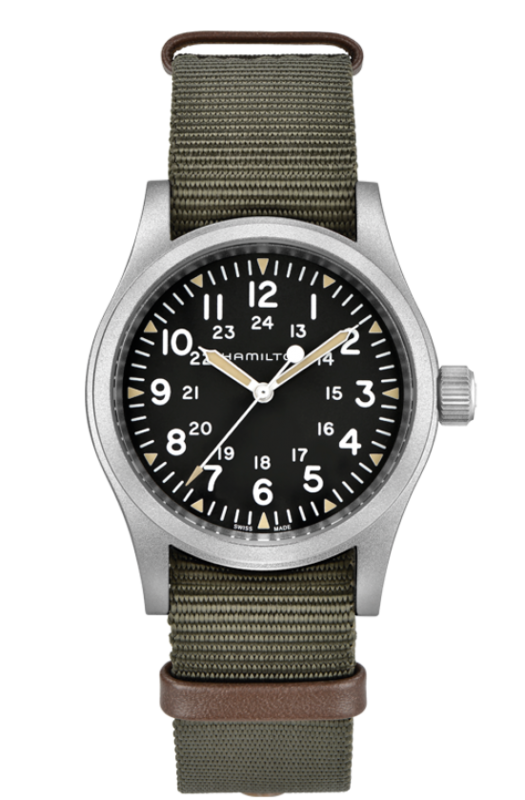 This homage to Hamilton military watches of days past offers the classic field watch look at an unbeatable price. 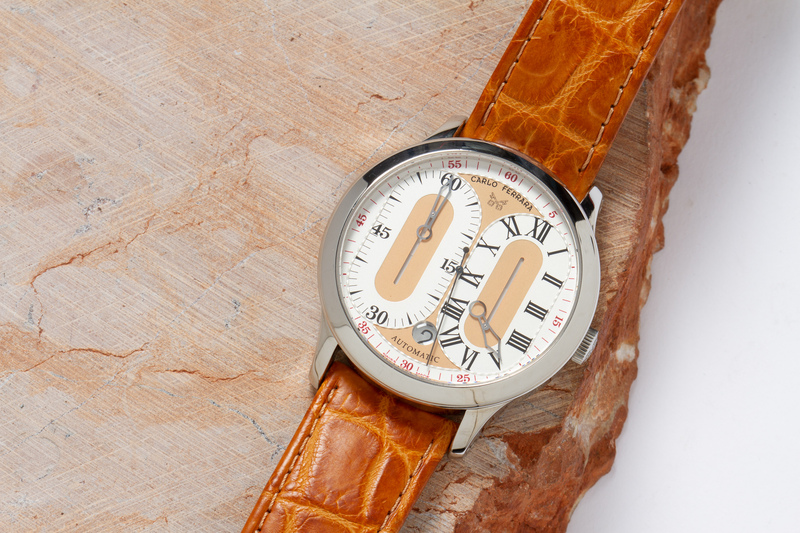 This 38mm stainless steel, hand-wound watch is simply COOL! 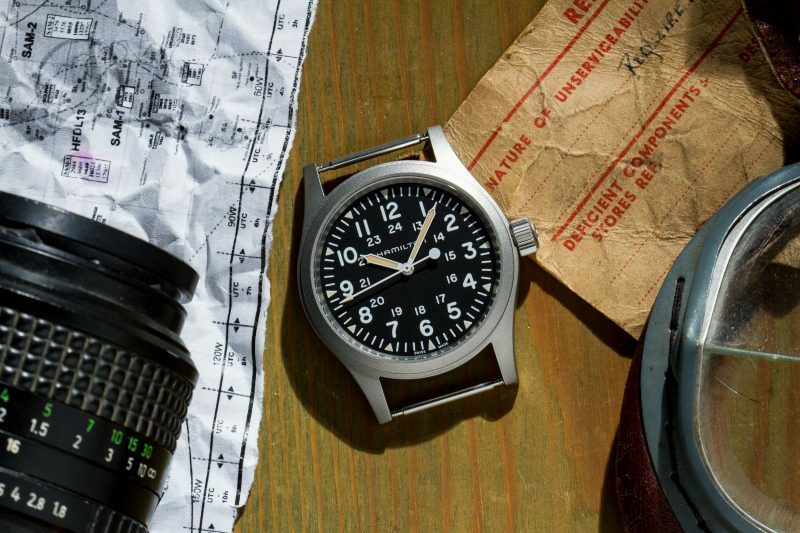 The Hamilton Khaki Field Mechanical is an homage to military watches of days past, most notably those made under the GG-W-113 and MIL-W-46374 specifications. With its matte stainless steel case, drilled lugs, signature dial design and hand-wound movement it is a very faithful reproduction – though it is up-sized from 34mm to a more contemporary 38mm. 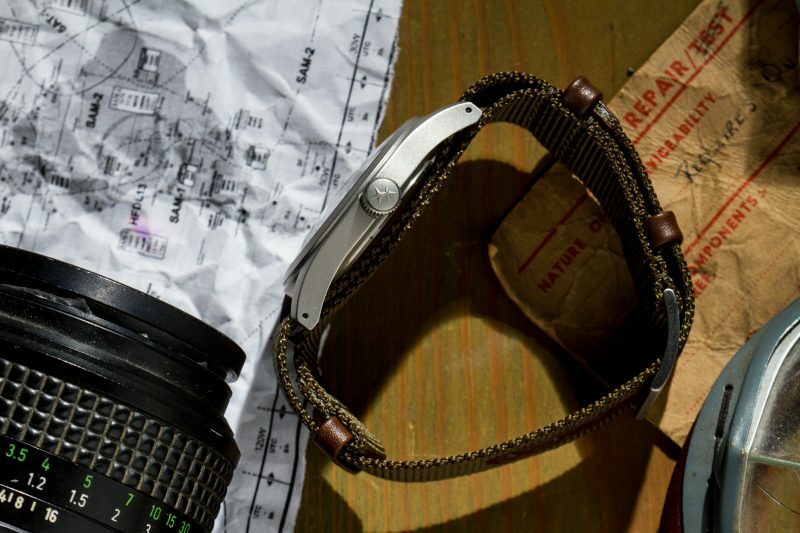 The introduction of the Hamilton Khaki Field Mechanical is a bit of a particular story. On November 21st of 2017 Hamilton posted this watch on Instagram out of the blue. With its set of features and historically-correct looks it was an instant hit, but there was one catch: it was only available true the Tokyo Hamilton boutique! Luckily that situation got taken care of in early 2018, and the watch is now available through authorized Hamilton dealers worldwide. 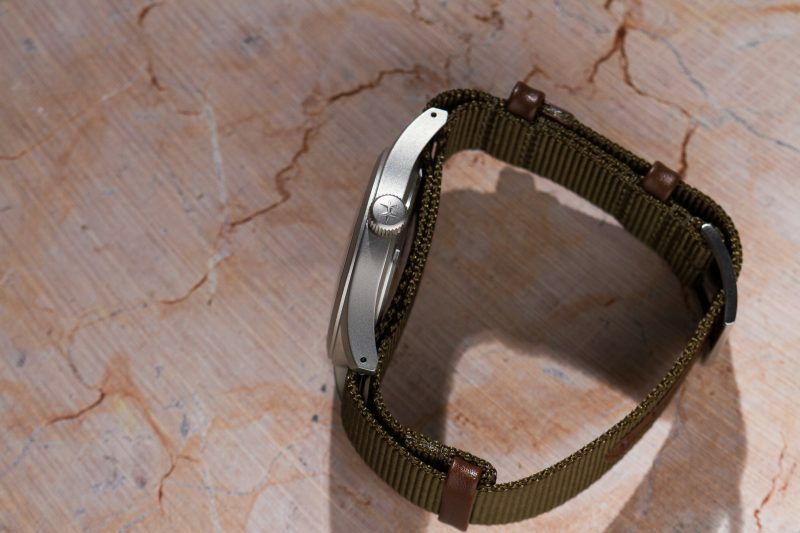 There is no shortage of vintage-inspired watches in today’s market that’s for sure, yet the Khaki Field Mechanical still manages to stand out. Why is that? 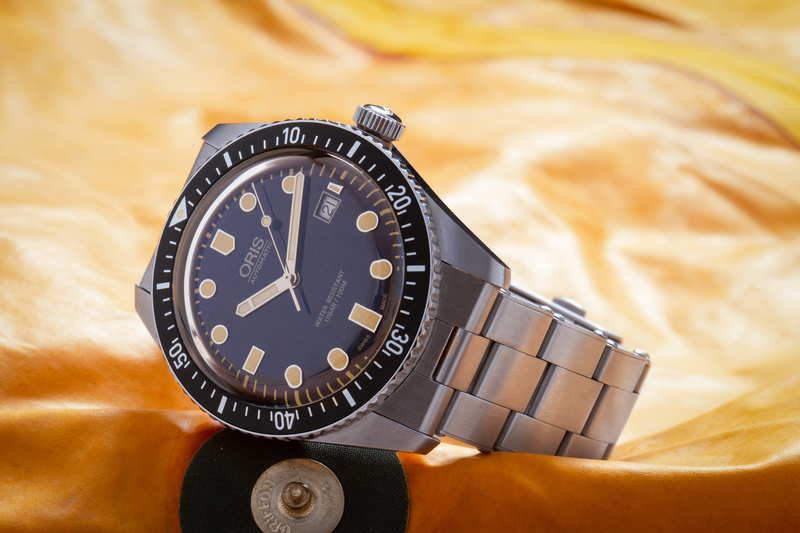 Well, it simply looks and feels like something truly made for watch enthusiasts. 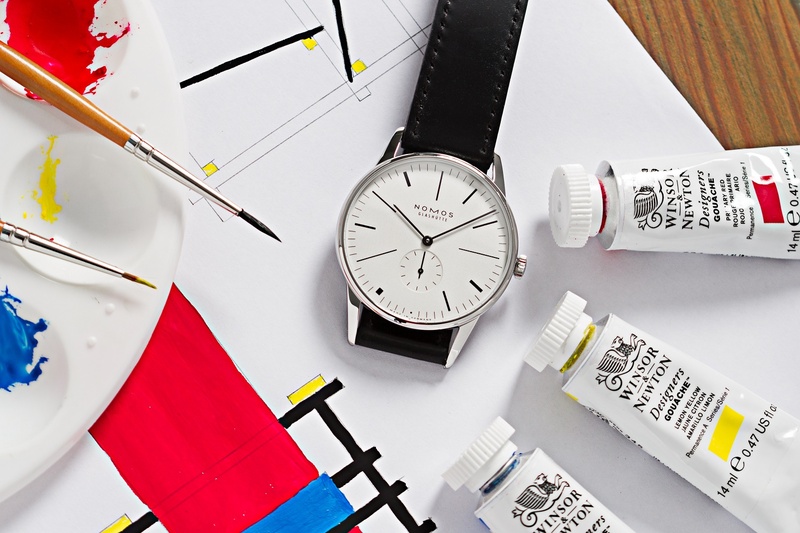 The case finish and dial lay-out are near identical to its source of inspiration. It has drilled lugs. 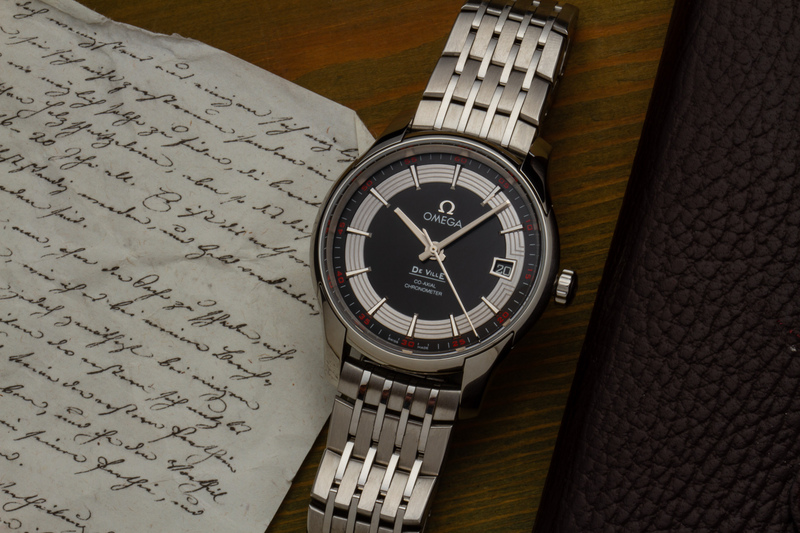 And last but not least, it features a correct hand-wound movement – without date! Sure, it is slightly larger than the originals, but at 38mm Hamilton still kept things reasonable. One other thing that’s notably different is the crystal: sapphire instead of plexi. The Hamilton Khaki Field Mechanical is every bit as superb on the wrist as it is in pictures. It shows great character without being overwhelming, and it looks just superbly cool. It comes on a modern take on the classic NATO strap, with bits of leather here and there – though I’d imagine it’d look good on a more traditional style NATO too. At EUR 420 incl. 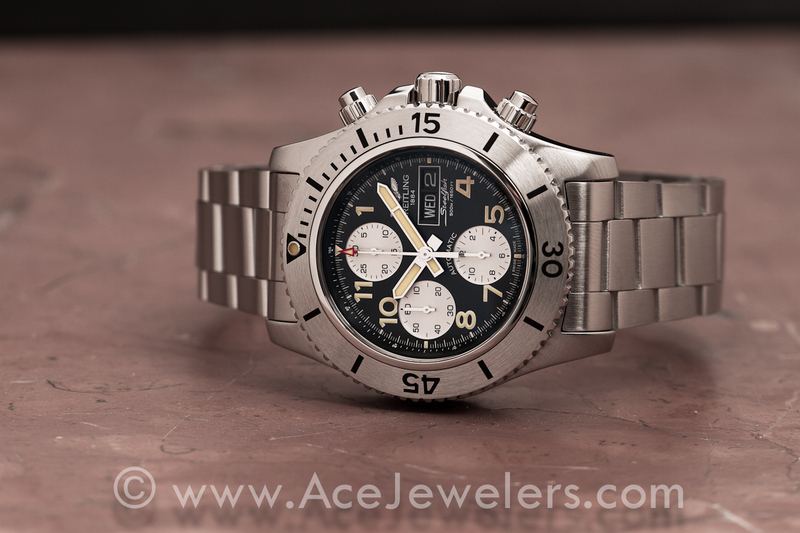 VAT the Hamilton Khaki Field Mechanical offers near unbeatable value in today’s market. 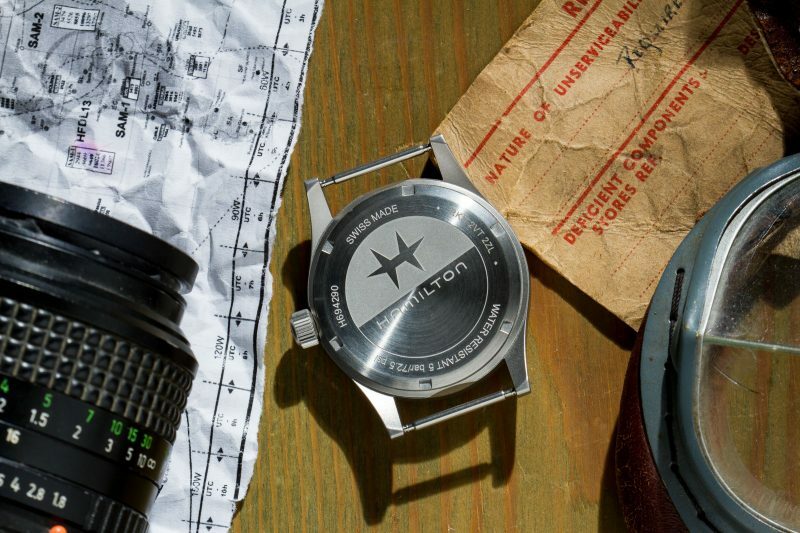 I can’t think of a watch that offers more cool for the money. 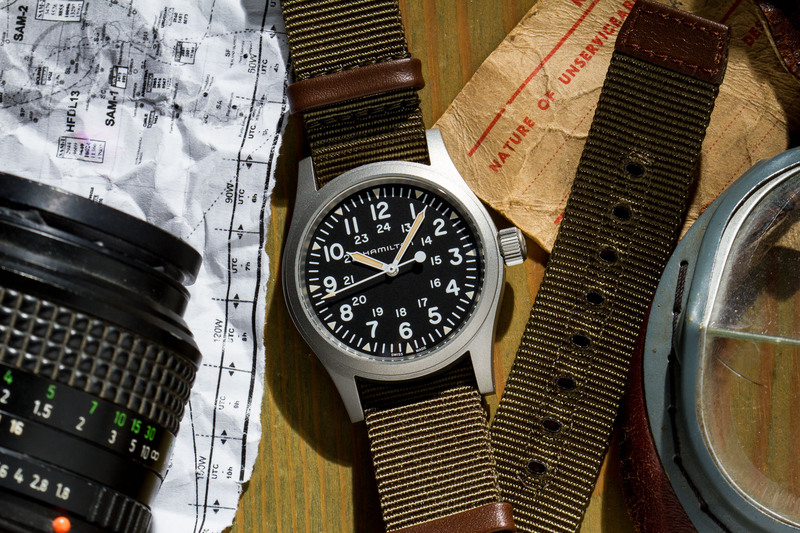 The Hamilton Khaki Field Mechanical comes with the official boxes, papers, and warranty. We are authorized dealer for Hamilton watches.